When was the last time you listened to a new CD and actually enjoyed the niggunim? Where the singing and music, rather than being ends in themselves, were the means to enhance the niggunim, which in turn brought out the true meaning and depth of the words they were put to? Well, now the moment has arrived! 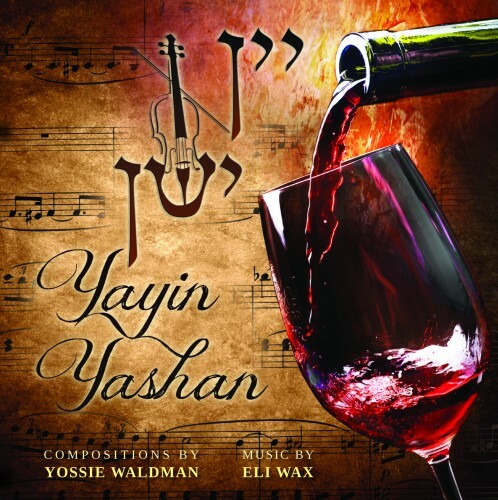 Introducing ” Yayin Yashan”, a new/old concept in Jewish music. Comprised of ten original compositions created and sung by Yossie Waldman, with music by the well-known musician Eli Wax, this recording takes you back to the time when Jewish music felt and sounded Jewish, and served to bring yidden close to Hashem. These are songs you will listen to over and over, and will find yourself singing at the Shabbos table, by a kumsitz or a simcha, or whenever the spirit moves you, Listen to these songs, and you will not be able to get them out of your head – or your heart. Pick up a copy today, and let the warmth and feeling of “Yayin Yashan” envelop your soul.